Every Friday We have PARTY!! He was one of perfect volunteer in our cafe. everything he did in our place was nice. He is open-minded and outgoing person also he has lots of stories talk and share with us. Not only in pur cafe, at home is also he is considerable, nice and gentle. Thank you for visiting us and being our volunteer. We are still waiting you to visit us… read more again! This was my first workaway experience, and I don't think I will have a better one. I spent 3 months at this café and enjoyed every day. By speaking to the customers in the café you learn a lot about Korean culture and their daily life. They always recommended the best clubs, restaurants and bars to go to. The 4 hours everyday never feel like work… read more if you enjoy talking and meeting new people. The appartement is perfectly located next to the city centre, and many interesting places are in walking distance. Because you only work in the late afternoon/evening, you have a lot of time to explore Busan. During my time there I made a lot of friends (foreigners AND koreans! ), which I will definitely miss. I'd love to come back again! Yaman! This was my first workaway experience and it was amazing. The month I volunteerd here flew by, it was such a effortlessly job which I really enjoyed. Mimi the host is such a great person and because of that the atmosphere at the cafe is warming. Also this is a great oppurtunity to meet people from all over the world and make a lot of friends. 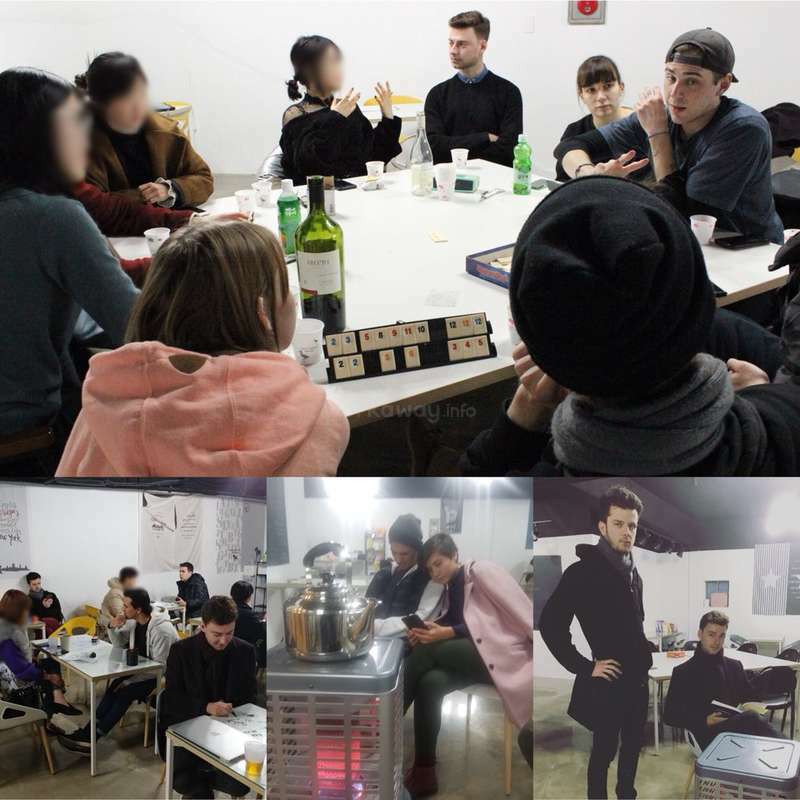 Also… read more the shared-apartment is great and spacious , and is right by the buzzling area Seomyeon. Mimi thank you for this great experience miss you, can wait to be back. My first workaway experience and I really enjoyed it. The 4hrs sometimes flew by and the slow ones gave way to great memories and laughs. MiMi is Absolutely lovely and makes the place really comfortable. Thank you Mimi. You will not regret coming. It is a great chance to make friends from all over the world and ones in Korea too. The apartment was… read more right next to a station. and the cafe is situated slightly off the bustling big streets and underground shopping centre. Can not wait to come back again. Vanessa stayed in our place for around 3 months. She was the best volunteers who always kind and hardworking for our cafe. Our cafes work is based on communication in English, she was the perfect volunteers. She was talkative, friendly, positive and funny. she make nice and friendly atomosphere to our member and everytime listened to everything… read more that I asked to her. Vanessa, Hope you have great time in Korea and We are waiting you till you come back to our place again. I really hope that your life is going well in tha UK. It was really nice to have you as a volunteer. Thank you for your help! I can't forget your happy virus! Here, in Busan, you've already have your second home. Just come back whenever you want. we are alway welcoming you ! The two month of your staying was so fast! here, our… read more Korean members are still miss you ! Had an amazing 2 months in this cafe over the past summer. Mimi was an amazing host and really made me feel welcome from the beginning. Met so many nice people and had a lot of amazing experiences. I can't wait to return! This was an awesome workaway! Hanging out and talking in the cafe was a great way to get to know the other workawayers as well as Mimi and those that came to the cafe to practice English. Everyone was very friendly, and the accommodations were great. The location is great, it's very close to the subway. I also had plenty of free time to explore… read more Busan. Thank you for a lovely stay! We still miss you !! I can't believe you are not here. He was the best volunteer ! He made lovely atmosphere, in the café and also when we do party together. all the volunteers and our korean members really love him so much. So he always surrounded by people and his table… read more is the most popular. Thank you for your effort, kindness and unforgettable memories. I really hope that we can meet again. I have nothing bad to say about my experience here! I stayed just over one month and could have easily stayed twice as long. Mimi and Martin are lovely hosts and go above and beyond to help accommodate you with any problems or queries you might have. Both the apartment and the cafe are perfectly located, at the heart of the thriving Seomyeon… read more neighborhood of Busan. 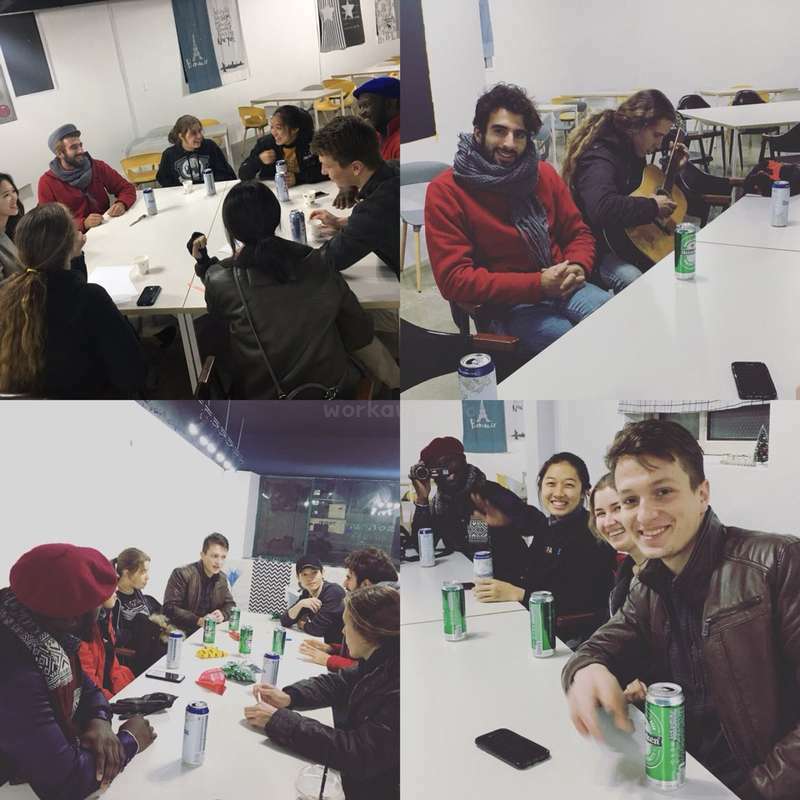 The apartment is modern and well equipped, sharing your living space with the other volunteers is a fun way to make new friends. The actual work in the apartment can hardly be considered work as you just hold a conversation with various Koreans for a few hours a day. Once you get to know the locals it simply feels like hanging out with friends. 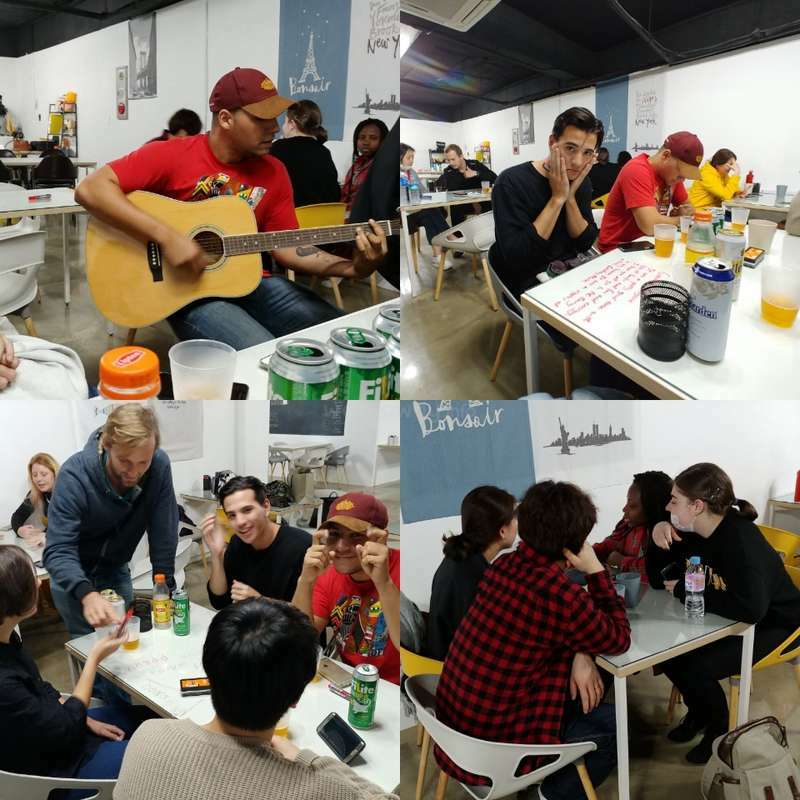 It is an informal, relaxed and fun atmosphere and every Friday afternoon there is a party for the volunteers and Koreans. Any time you are not working you can explore the city of Busan which in my opinion is the best in Korea, there is always something to do. From trekking and culture visits to beaches and nightlife, Busan has it all! Had an amazing time here and met many great friends. I would recommend the city, the people and the work to anyone and everyone. I hope to be back some day. I also miss you so much! I can not believe that you left our place for a long! I really miss our crazy atomosphere! We always waiting you . our place is your second home ! Hi ! This was my first workaway experience and I had an amazing time. I would highly recommend this place to everyone ! Mimi is super nice and helpful in every situation. The apartment is beautiful and in the center of Busan, it felt like home. We stayed in Busan for a month which we felt was a little on the short side. 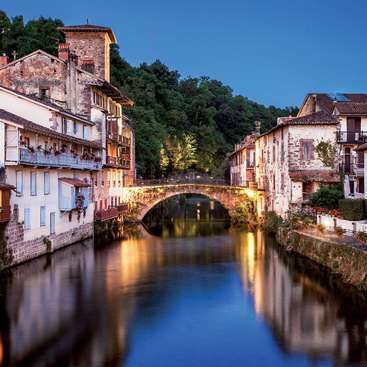 It is a wonderful city… read more ! The work in the cafe was really fun, we worked 3 1/2 h per day and we met so many nice people. One of the best parts is that we made a lot of friends. We learned a lot about Korean culture and of course about the delicious food ! It was an amazing experience and Im really thankful ! I really happy that you enjoyed life in Busan. and thank you for friendly and nice work for us. Lots of our Korean members are missing you so much. This was my first workaway experience and I really enjoyed it ! I stayed 1 month and 1 week, the job at the cafe is really easy and I had a lot of free time to do visit place or hang out. Moreover the appartement is in city center so not too far from every activity. 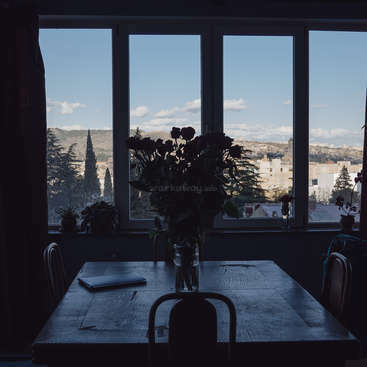 Sam and mimi were really comprehensive, I made a lot of friends and memories in… read more this appartement. If you're thinking about doing this, think no more as it will most definitely be an amazing experience. As my first WorkAway experience, I have nothing to say other than positive things. I believe that what I cherish the most are all of those incredible human beings I got to live with for a month. Never had I experienced such thing and without a… read more doubt it helped me grow as a person. The "work" at the café hardly feels as such. You are only required 3 hours a day from Monday through Friday and the weekends are all to yourself. Busan is an incredible and beautiful city, and Seomyeon (where both the café and apartment are located) is full of life 24/7. I would like to use this opportunity to thank all of the other volunteers from all over the world (Spain, Germany, Denmark, France, Romania, Israel, USA, Canada, Scotland, Slovenia, Austria, Malaysia, Italy and of course, Korea) for making my experience such a magical one. Gracias y mil gracias! First Workaway experience ever and it was absolutely amazing! 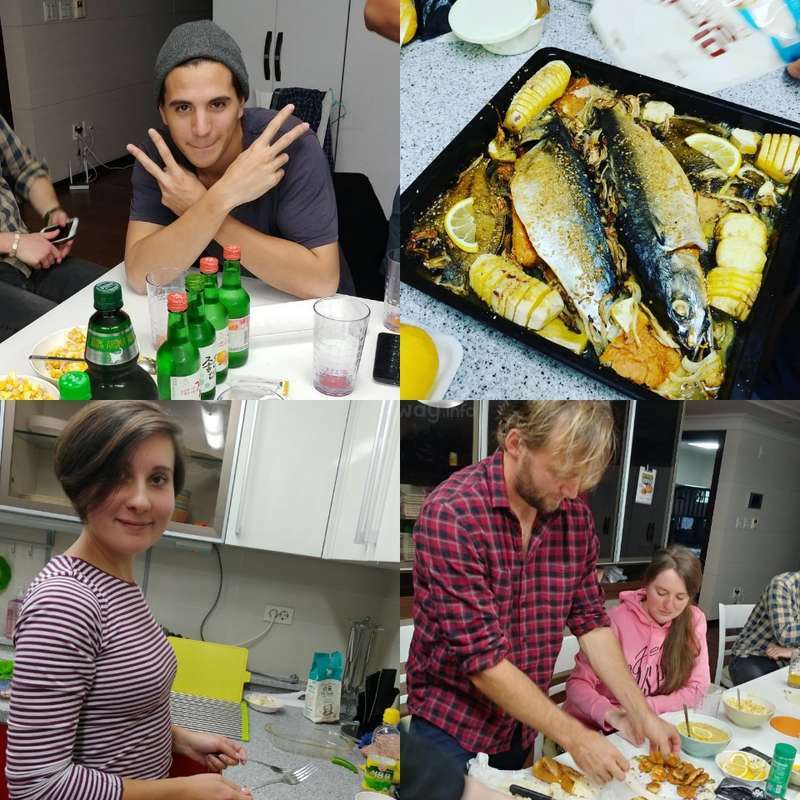 My friend Fran and I stayed for a whole month and we really enjoyed it: the work is super easy and you can meet a lot of different and interesting people at the cafe and at the apartment as well! You have a lot of free time and everything's close enough, and many nice people will show… read more you around for sure :) Mimi and Sam were pretty helpful and nice and they made our stay comfortable and friendly. Also Mimi set an amazing birthday party for me!! I won't forget it! Thank you very much! We miss you all!! We will miss you jimmy and we hope we'll be able to see you again in a near future. Cheers! He was a really friendly and one of the most popular volunteer. He was always trying to be kind and help our customers. that is why lots of customers want to… read more be talk with him. He alsway do 100% into all the work he did. and all Korean members who have talked with him, have lots of hpay memories here. He will be perfect for all projects and volunteering work, so positive and open minded. I had such a amazing time at just speak cafe with mimi and all the people I met along the way, I can't recommend it enough. The people I met whilst there i will consider friends for the rest of my life. 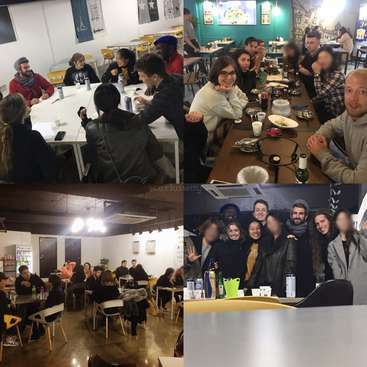 The accommodation is great for making new friends from all walks of life and the working hours give more than enough time to explore not only… read more busan but the rest of Korea. Thanks so much for having me I'll be back soon! I returned from my workaway more than a month ago but I still miss Korea very much! Busan is an incredible, vibrant and very beautiful city. Work in the cafe was not difficult at all. Students are very friendly and are eager to share their culture and give the best recommendations. Mimi is also very nice and friendly. We often went out to eat or… read more cooked together in the apartment. Food in Korea is absolutely delicious=) Accommodation is completely new and very conveniently located. 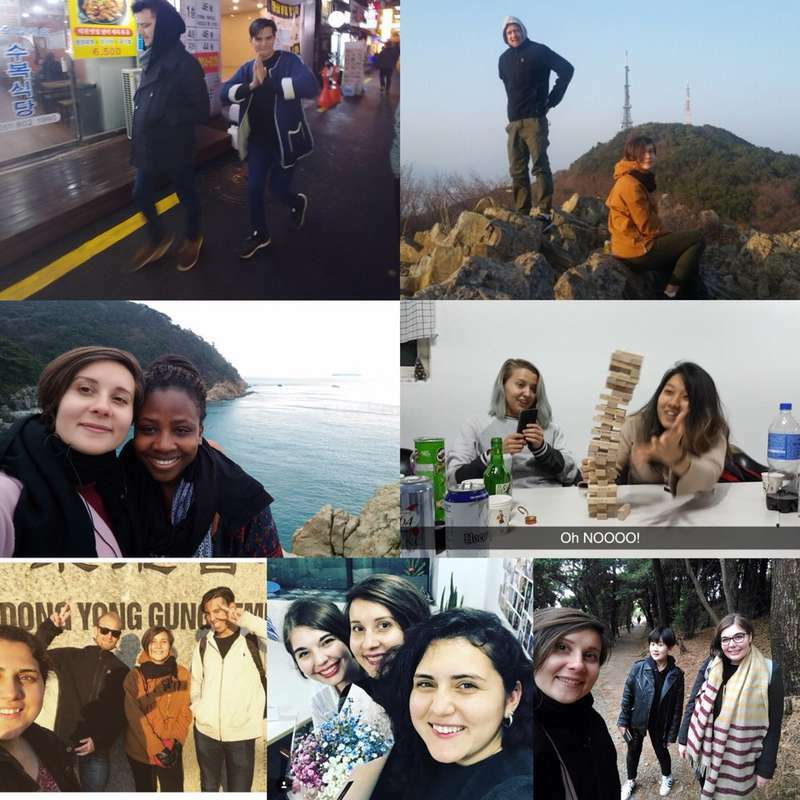 So I would highly recommend this workaway to every volunteer who is thinking about going to Korea! Can not find the right words for her. She was perfect volunteer. always kind to our Korean member and open-minded. she also do not stop to learn Korean language even she doesn't need to. Because she was my volunteer, our language café atmosphere was perfect every time and helping me a lot in many ways. That was my first workaway experience. But I have to say it’s the best! The host is super nice, other volunteers are also kind. The acomodation is the best ever!!! The work itself is interesting as well. You can make friends with local people and other foreigners from all over the world. Can’t believe I have already came back. In summary, the… read more place is definately high recommended!!! Oriol was the one of the best volunteer. he has the considerable mind and also he knows the way to enjoy Korean nightlife. (lol) I pretty sure that you can find some positive energy surrounded him. Yo! This was my first workaway experience and it could not be any more different than I expected it to be. I would recommend it to any friend of mine (I already did). I really could not call it work, it felt like hanging out with friends. I went there in January and the cafe was fairly new, so because there were few… read more students you got to know them all. Most of the times we would just sit with them and talk casually in a group, as well as play games, drink a bit... Some days we "properly" sat down and talked one-to-one with the students. You usually do that when they are new, very shy or have a very poor level of English. 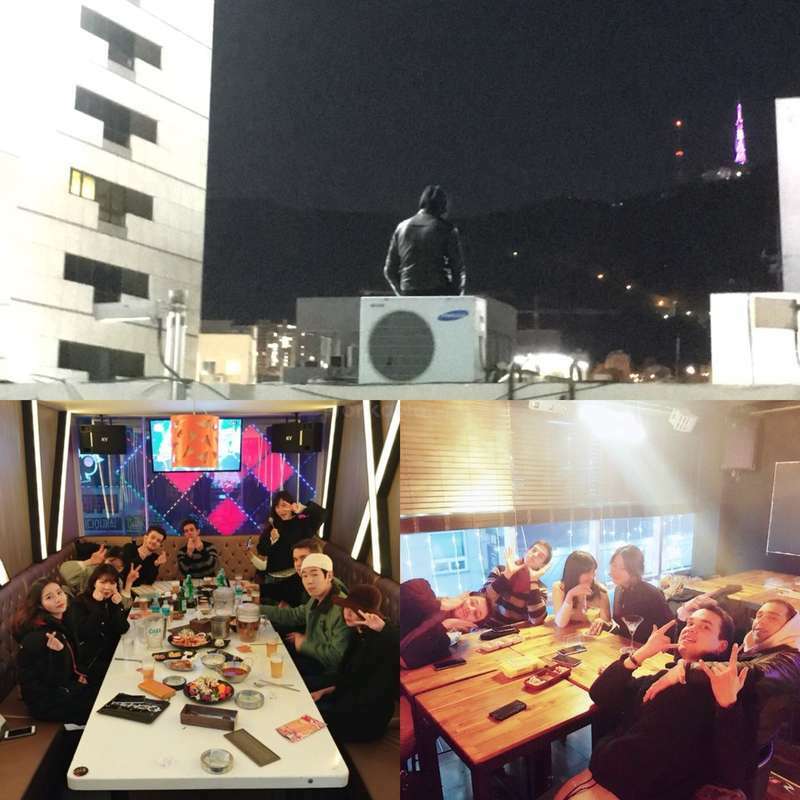 While I was there we also started going out with the students to pubs or even to a noraebang (epic night). The owner of the cafe (MIMI) will be in the cafe most of the times and she will be willing to help. I recall falling sick immediately after my arrival to Busan, and she told me to stay home the first couple of days until I was completely recovered. Besides, she also hanged out with us a lot and we had plenty of fun together. We all stayed in a nice apartment 10 min away on foot from the cafe (in a centric area). The first two days it was difficult getting used to it, specially the lack of privacy (sometimes it can feel a bit crowded), however I got used to it surprisingly fast and enjoyed every moment of it. Also, sometimes the house is a bit messy, and if you are into having a proper schedule going to sleep before 2AM is not a real possibility. However living there felt like being on vacation with your friends and getting an airbnb. Busan is a nice city. Personally I prefer Seoul, but anyways it has tons to offer, as well as beaches, which I guess that must be specially great in summer. The city during winter was cold but nowhere as cold as Seoul (easily 8-10 degrees Celsius higher). A lot of partying going on in the city, with a more authentic feeling. There are few foreigners, actually very few. If you are reading this and thinking about doing this workaway I would recommend you to do it, but with an all-time open mind about what you will eventually find, because it might be very different than what you might have in mind right now. In my case this January has been one of the heaviest drinking, partying and cheerful months of my life, whereas I had something completely different in mind. Oh! And no need to be native, just be good at spoken English. Thanks, to Mimi, Flo, Simon, Vali, Josh, Caroline, Nauon, and everyone else in the cafe for one of the best experiences of my life. My only regret is not having been able to stay longer. Mimi's language cafe was my first workaway ever, and I had so much fun. I would definitely recommend anyone to go there - as a first experience or not. I felt like home, and I met so many amazing people - among the volunteers but also the students and other korean people I met. I miss you guys ! The accommodation is the best one you can find in… read more all Busan - Korea. The entire apartment is brand new and has everything you need. You'll need a 15 mns walk to go the cafe from the flat, and it's located in a really cool district (a lot of bars/restaurants/clubs around the cafe!). The cafe opened only a few months ago, so when I arrived, there were not that many students. But when I left, in the end of February, it was getting better and better! The job is really easy, it's not even teaching, it's basically just talking and making conversations. You make lovely atmosphere, in the café and also when we hangout together. all the volunteers and our korean members were so happy. We still miss you so much! I can not believe that you are not here anymore. our happy virus Turku, thank you for everything (effort for working, sharing your experiences). I really hope that you had lovely time in our place. you were the jinjja lovely person. By the way, We always have space for you! please come back to Busan in someday. It felt really cool to be one of the first volunteers as I joined the cafe right after it opened. The quality of accommodation exceeded all my expectations, it's brand new and is located in the heart of Busan. I met amazing, interesting people that I still keep in touch with. This place has great potential and I would love to come here again.… read more Thank you Mimi for your hospitality and I wish you all the best! I also miss you so much. All the time with you guys are full of happy memorize. You were the really first volunteer for me so it's meaningful and really thankful to work and thoughtful consideration. I still miss your bright smile and happy virus. I look forward to meet you in short time. Hope everything is going well in your life,… read more especially studying abroad (please say It will be Korea). This was my first workaway experience and i had really wonderful time with the other workawayers and our host Mimi! I could not have been welcomed more fully. The work itself not tiring and having so much fun talking and meeting new people and the accomodation was amazing near the city centre and clean. Thank you for all the memories and all the… read more parties/events you made for us mimi! Missing this place already.